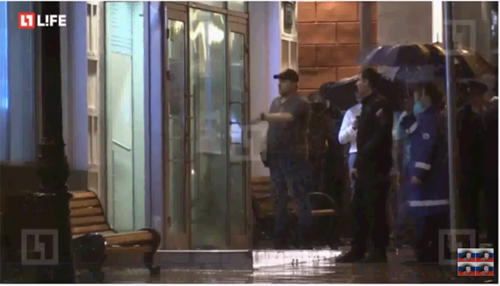 August 24, 2016-Russian police say special forces have been sent to a bank in downtown Moscow where a man had taken four people hostage.  Officials said police were able to negotiate the release of two of the hostages, both female employees of the bank. 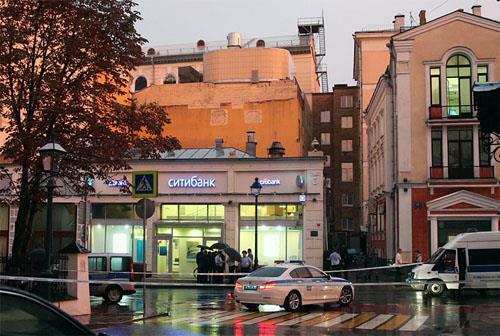 According to police, the drama began when a man entered a Citibank branch, located 1 kilometer away from the Kremlin, and took three bank employees and one customer hostage. 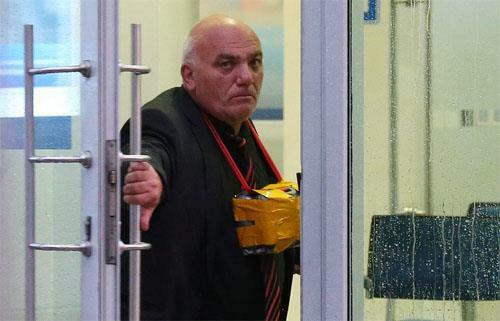 Interfax news agency quoted an unnamed sourced in law enforcement as saying the hostage taker was apparently drunk and threatened to blow up the bank. The man said he was an entrepreneur from the Moscow region who went bankrupt, according to TASS. 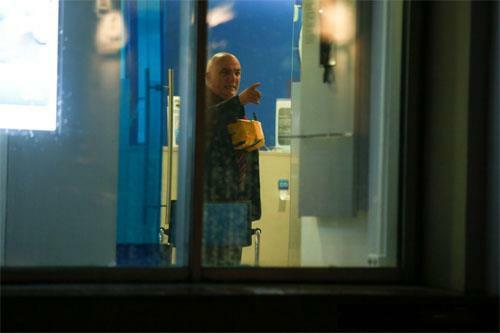 Specialist cops are in talks with the hostage-taker at a Citibank. Three employees and one customer are trapped inside the branch in Moscow, Russia, local news reported. Initial reports claimed the suspect took seven people hostage but let three women go. The man could be seen with a package covered in yellow Gaffa tape hanging from his neck. He is said to have put a sign in the bank window asking for a negotiator.